Dropshotting is a very popular technique, especially for Largemouth and Smallmouth Bass. However, it can also be very effective for many other species such as panfish and trout. 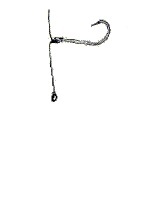 When tying a Drop Shot, the hook always faces up! Put the loop through the bottom and don't forget to leave yourself a long tag line. 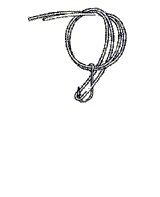 Tie an overhand knot with the loop. 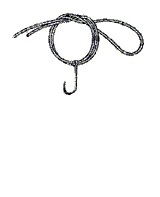 Pull the hook through the loop. Wet the line and pull it tight. 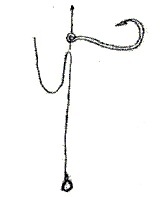 The hook must face up. Tie a sinker on the end of the tag line.